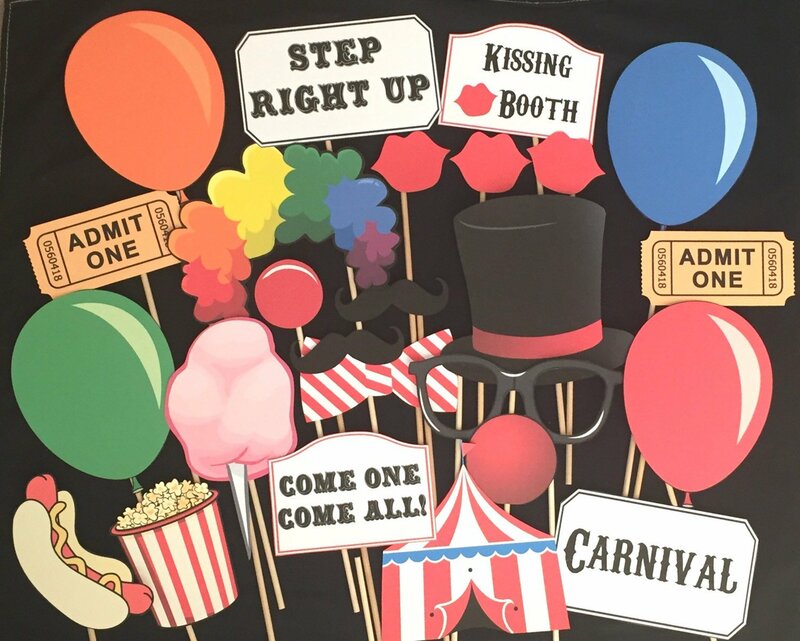 Carnival booths are my favorite, especially when it comes to having a carnival party organized for the kids on a budget. The best thing is that you can actually construct one easily by not breaking your budget. Once you have gathered the materials, you should now start with constructing the booth. Do keep in mind that you will need an extra helping hand for setting up the carnival booth. 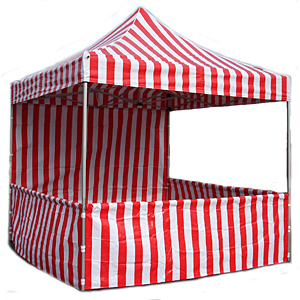 Before you start constructing the booth, you need to understand the size which you require or are eligible to put up. 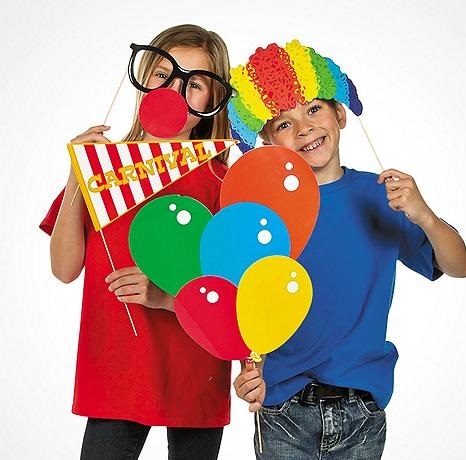 If it is for your own backyard carnival party, then the size you should use is all your choice. 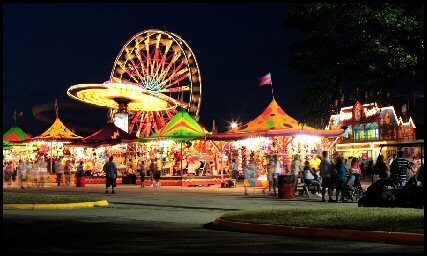 However, if you are participating in some festival, then ask the organizer about the size prior to constructing your carnival booth. Instead of building a frame from scratch, go for ready made options. Honestly, the latter options will cost you a lot lesser than the former one, minus the days of labor you will have to otherwise put in. You should start with setting up the canopy tent. Do follow the instructions written on the packaging; otherwise your tent may collapse. Your tent should be fixed to the ground according to the written instructions, not according to what you think is the best way of doing that. Take the fabric and cover the back end of the tent. This is very important as otherwise people will be walking through it. The fabric should be according to the theme so it does not look out of place. Similarly, you should cover the top of the tent as well. You can glue the fabric with the help of Velcro as well to keep it in place. The fabric should be long enough to drape down from the sides. You can use bricks for making sure that the fabric stays in place. Now if you want to create a game booth then create its back with a wooden board. You can now attach your game over there. 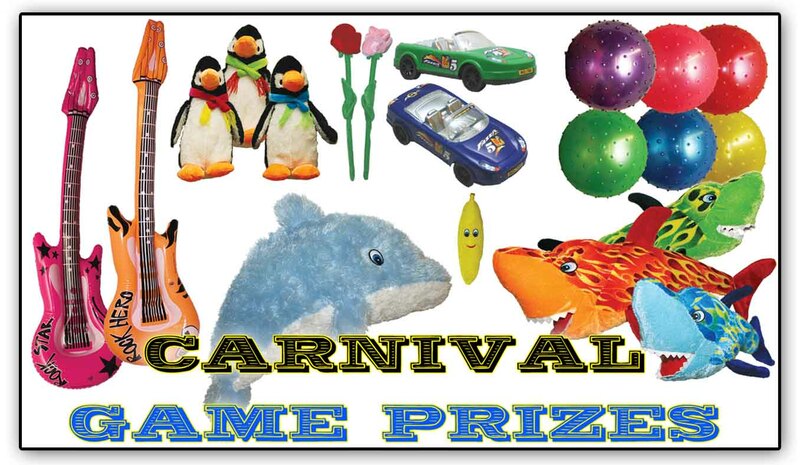 Hang the prizes behind the game booth with the best ones on the top and the consolation prizes under them. It will be great to have an extra helping hand for setting up your both. Once you have constructed it, make sure that you fix it on the ground properly so that it will not fall down. 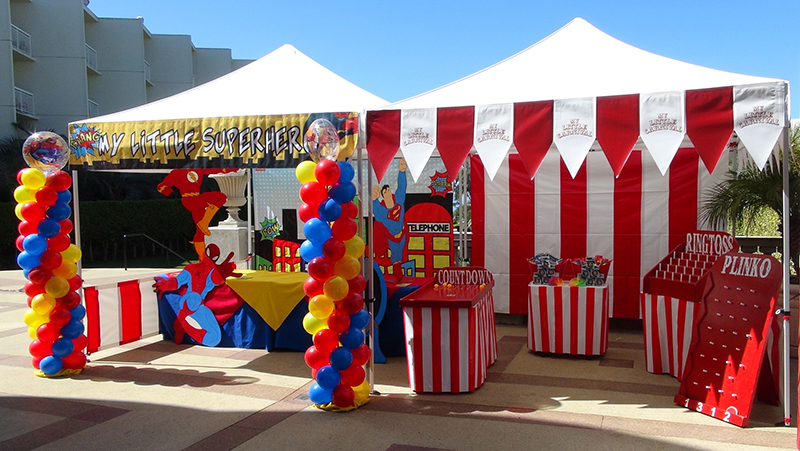 Now that you are done with the construction of your carnival booth, spice it up by adding a few folding tables and chairs. Cover the table with a cloth similar to that of the theme. Add in the props. If there are some games which are to be played as well, then display their prizes in your booth. Don’t forget to place a banner outside the booth conveying to the customer what it is about. Simply use short and concise statements for luring the customers in. do beautify the outside by using the main theme. The rectangular table can be placed for keeping your things, goody bags, if any, and any refreshment which you may be offering your customers.